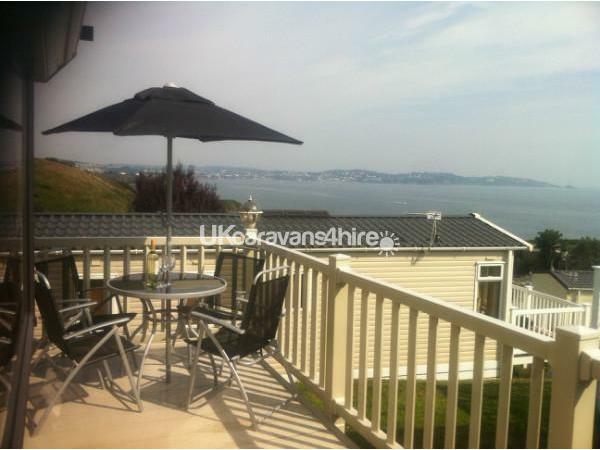 Additional Info: Secure decking with night-lights, comes with table,4 chairs and two sun loungers to relax and enjoy the view of the English Riviera. No. 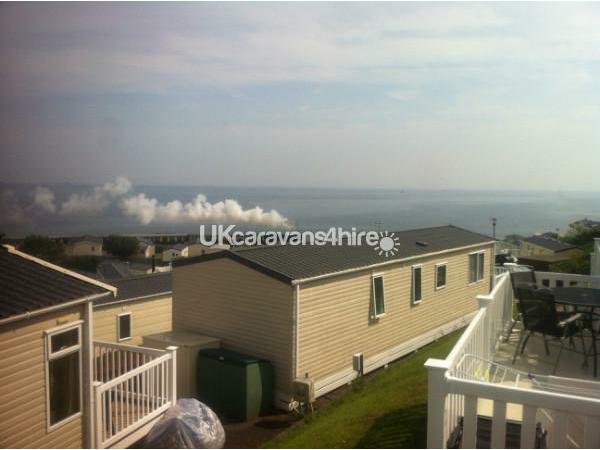 245 Waterside is a Willerby Rio 2010 gold caravan situated in a beautiful location with fantastic views of the Riviera bay. No. 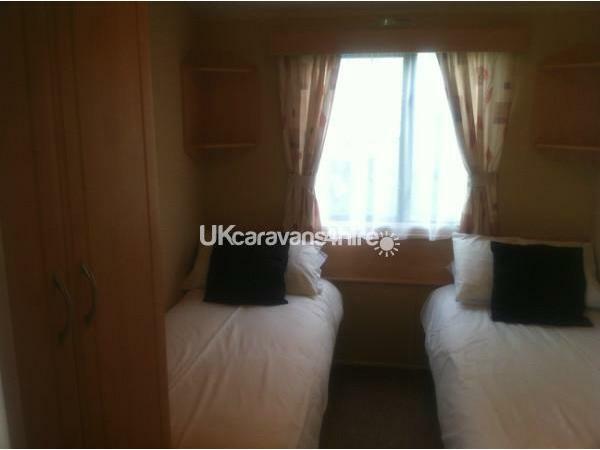 245 has everything you want for a brilliant holiday, with 1 double bedroom, 1 twin bedroom and a double fold out bed. It sleeps a total of 6 comfortably. 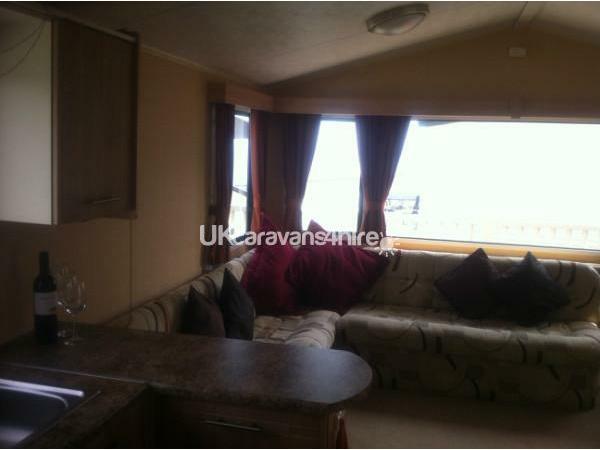 It has a gas fire in the lounge and electric blow heaters fitted to all other rooms to ensure you're warm in the colder months. 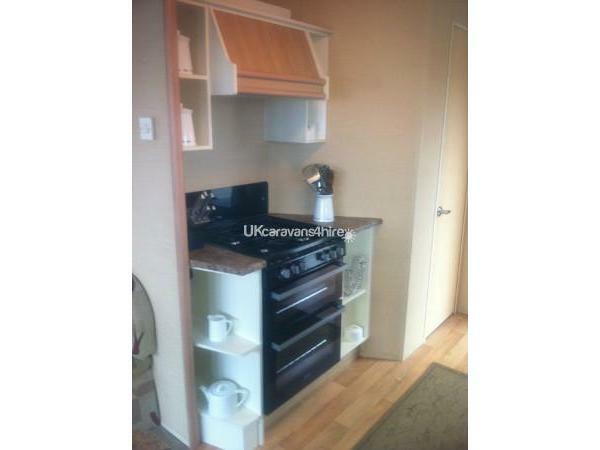 In the kitchen there is a cooker, fridge freezer, microwave, toaster and of course, a kettle. The lounge is very comfortable with plenty of seating and enough room for everyone to eat at the table. 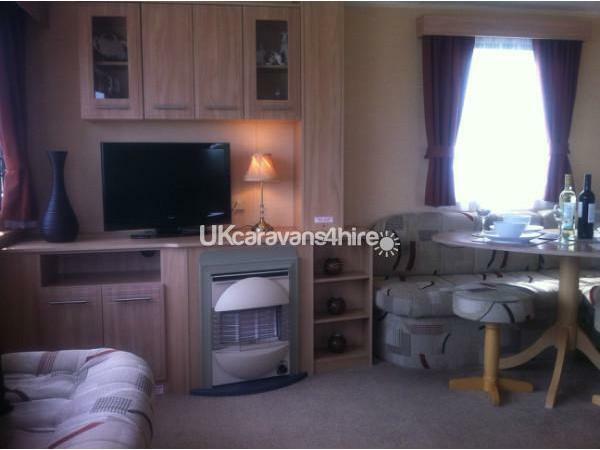 There is a 42 inch TV with a DVD player for if you're not on the beach! 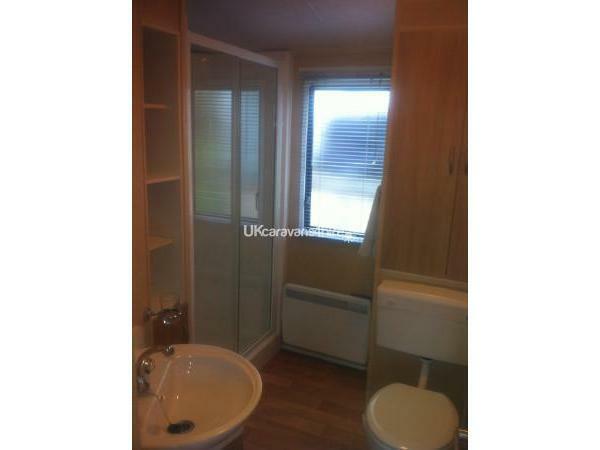 The shower room has a large shower cubicle with wash basin and toilet, with plenty of storage for beach towels and bath towels. 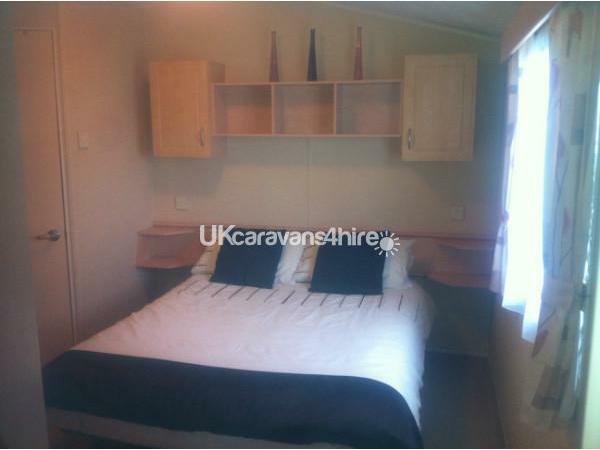 The twin bedroom has two single beds and a double door wardrobe with two drawers to the bottom. 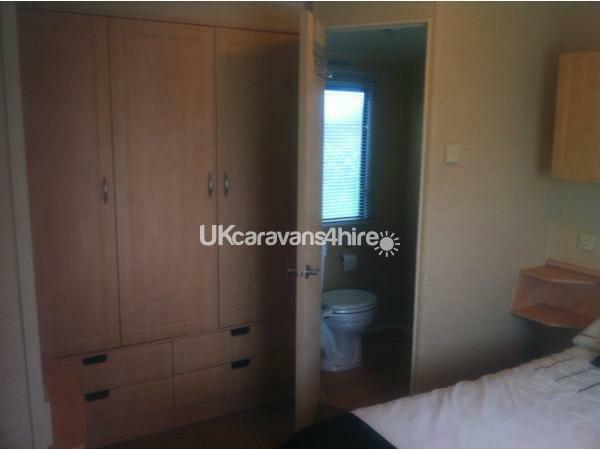 The main bedroom, with en-suite toilet and basin, has a double bed and three door wardrobe with 4 drawers below. There is also a Graco travel cot which fits along side the double bed if needed. Bedding for travel cot is not supplied. No. 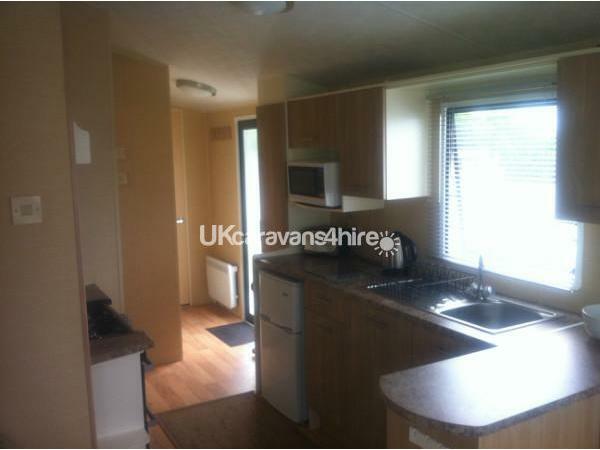 245 has secure decking to two sides of the caravan which has a gate to the one side to stop the little ones escaping. Decking area includes table with 6 chairs. 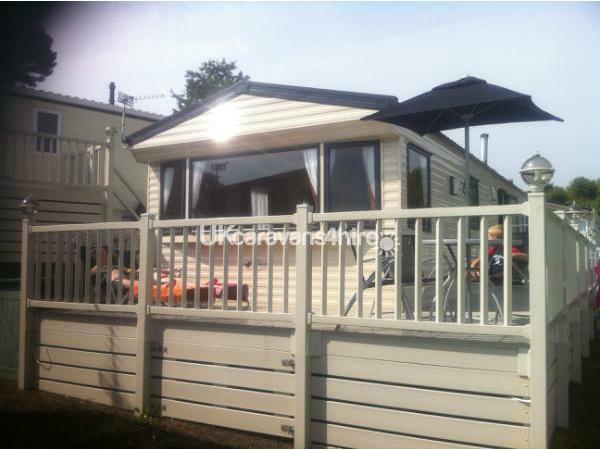 Waterside Holiday Park is the perfect choice for a great family holiday, from the club entertainment, the meals in The Smugglers Inn, to the large outdoor heated swimming pool. A 20% deposit will be required when booking, with the remaining balance due 8 weeks before your holiday date. Payment will need to be made in full if booking is within the 8 week period. Weekly passes for all facilities within the park are purchased from Waterside reception at £5.35 per pass (under 3's free).